Providing basic information on species, wildlife ecology, ecosystem services, and other topics related to the flora and fauna of the region. It’s believed more species of this little critter are found in Tennessee than any other state. While most of them live in our numerous streams and rivers, some are more at home away from those areas, in moist lands near water…even underground. That’s one reason why the crayfish is such an interesting, unique, and beautiful animal. 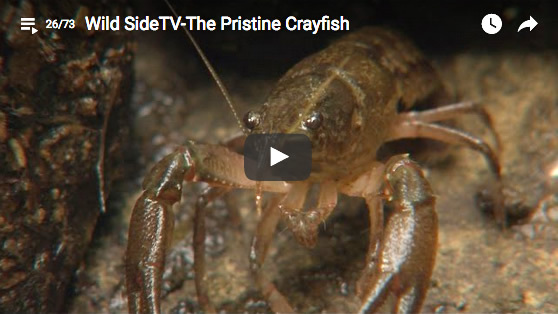 Crayfish diversity brings researchers here from all over the world to study their habitat and life habits. But Wild Side Guide Alan Griggs found two men who don't have to travel far to follow their lives’ passion, learning as much as they can about crayfish while getting shoulder deep in mud and muck. 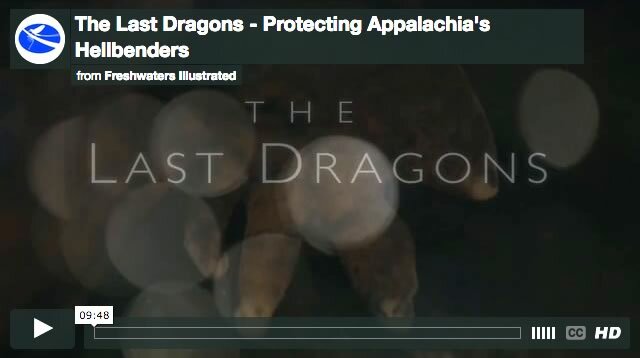 The clear streams and thick forests of Tennessee’s Cumberland Plateau are home to some of the most unique and diverse wildlife in North America. It's also home to an eighty-year old state park that still attracts a million visitors a year…Fall Creek Falls. 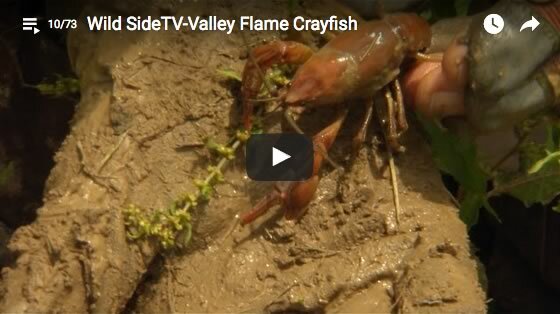 Everyone knows about the beauty of the falls, but just as interesting is the animal kingdom found beneath the waters in and near the park...including a rare and elusive crayfish with a colorful name. The Pristine Crayfish might be shy and reclusive but it helps hold the entire Plateau ecosystem together. Wild Side Guide Alan Griggs shows us how researchers are using the crayfish today to plan for tomorrow. Anglers refer to it as "stick bait," most people don't see it, and biologists believe its future is very uncertain. The Sequatchie Caddisfly is one of those small, amazing animals that might be an afterthought to many. In truth, it plays a critical role in the ongoing health of the entire Sequatchie Valley, one of Tennessee's most beautiful natural areas. 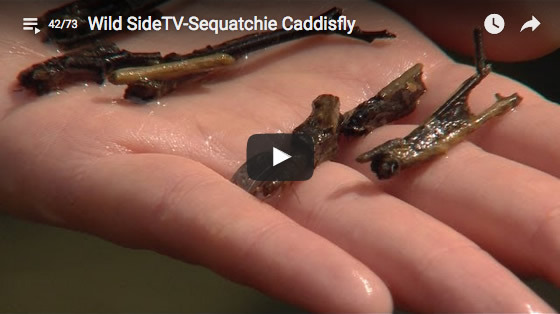 As humans have intruded into its world, the Sequatchie Caddisfly has lost most of its population and living area. Today, it's confined to a small corner of its original habitat. That's where we find Wild Side Guide Alan Griggs exploring the unusual relationship of a cave, a spring, and a tiny animal that lives there. The Wild Side of Tennessee is full of little creatures that blend into their surroundings, unseen by most. Yet they play very important roles in keeping the balance of nature just right. In this case, we're talking about the green salamander, an animal that makes its home in just a few select places. High on the Cumberland Plateau, deep in the woods, nestled back in the narrow cracks of ages-old rock outcrops is where you'll find this tiny creature. 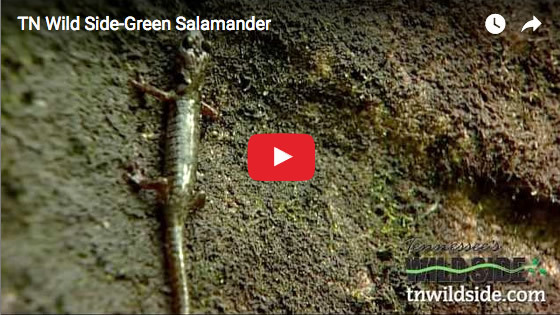 While the green salamander is known for its shyness, Wild Side Guide Alan Griggs shows us how one biology student is discovering just how fascinating it really is. From show 2507. Visit our website at www.tnwildside.com to learn more. At this point, the buffalo, Ictiobus spp. (Probably mixed crowd!) 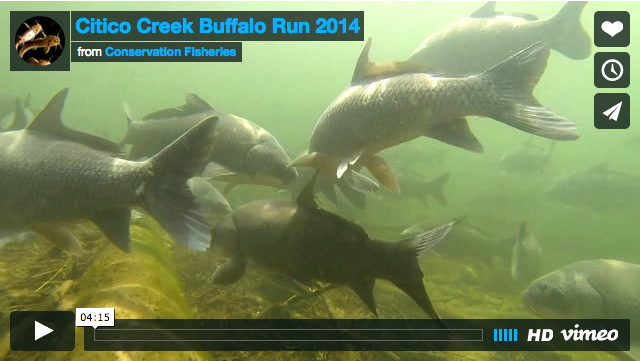 along with some nice big silver redhorse, Moxostoma anisurum, were milling around the creek in pretty good numbers. No spawning events were seen and the schools appeared to me primarily males....just waiting on the females to arrive! This spectacular event takes place in early April every year in Citico Creek and other numerous other streams in our area. Citico Creek is located on the Cherokee National Forest and is perhaps one of the nicest medium-sized streams in the southern Appalachians! For a little more than 10 years, Conservation Fisheries has been working to re-establish spotfin chub into the Tellico River in eastern Tennessee. These spectacular, turquoise minnows (only the males develop this color and only during summertime spawning), are highly specialized and closely associated with clean, current swept, bedrock habitats. During spawning season, the males become very territorial and stake out crevices in the rocks where the females will ultimately deposit the eggs. While males vigorously defend these territories, they do not provide any direct care to the eggs and larvae. 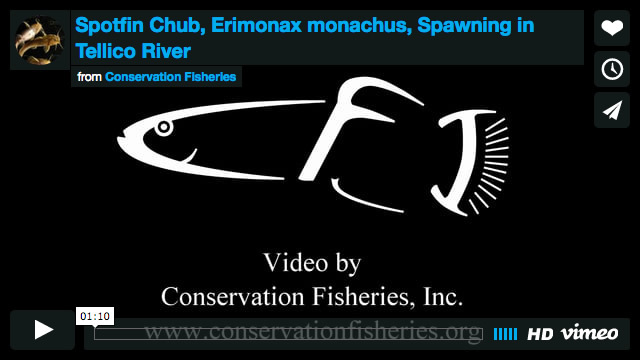 The spotfin chub is federally threatened.